DeepBlue Technology has, together with a number of well-known domestic and foreign companies, universities and National Laboratory of Luxembourg, established three joint laboratories for intelligent driving technology, intelligent and precision manufacturing, data and financial security, and a joint laboratory involving such related fields as artificial intelligence. Focusing on artificial intelligence chips, machine vision, deep learning, intelligent driving, basic algorithm, biological recognition and other independent scientific research technologies, DeepBlue has an in-depth layout in nine fields, including intelligent driving and vehicle manufacturing, smart robots, AI CITY, AI retail, intelligent voice, security, chips and education. 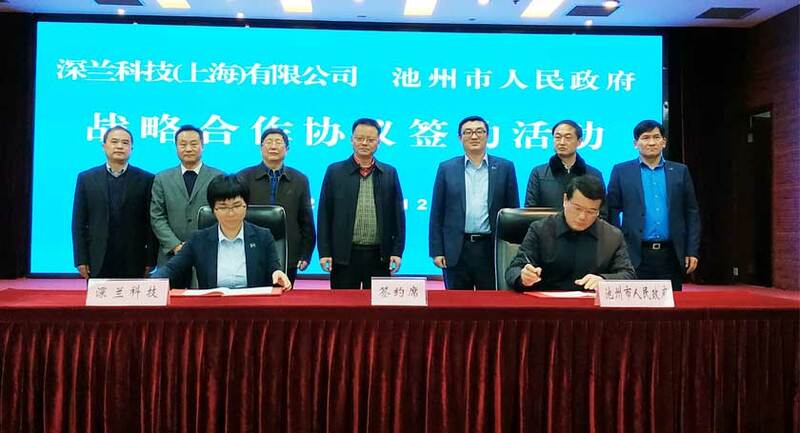 As a local artificial intelligence enterprise in China, DeepBlue Technology will, based in Shanghai, establish southwest headquarters, South Asia headquarters, northwest headquarters, central headquarters, south central headquarters, and Northeast Asia headquarters, radiating more than 20 cities across the country to help them build artificial intelligence highlands and build AI CITY in the new generation of artificial intelligence. AI is a new science of technology which studies and develops the theories, methods, technologies and application systems for simulating, extending and expanding human intelligence. Research in the field of AI includes robotics, speech recognition, image recognition, natural language processing, expert systems, etc. Combined ASR, NLP, and big data processing technology, through deep learning, it could establish a complete speech knowledge base, and through AI algorithm and model training, we could develop an intelligent voice service technology that can identify, transform, judge and process voice digital signals. It serves the voice interaction fields such as telemarketing and intelligent customer service to improve communication efficiency and save labor costs. Based on AI convolutional neural network, deep learning system and algorithm, the solutions in each vertical field are integrated, customized, and then integrated into the chip to drive the hardware, complete the established tasks or targets according to the specified requirements, and at the same time, upgrade the cloud computing capacity, calculate load and response speed, optimize equipment performance, experience, and reduce product cost. 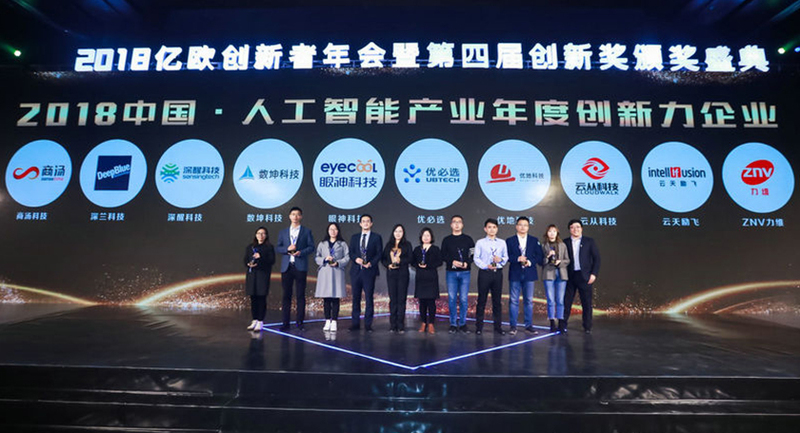 Based on AI technologies such as machine vision and bio-intelligence, it could construct the safety supervision system platform and provide hardware management service solutions in the cities. Through real-time monitoring of security dynamics, security process management, abnormal situation analysis and judgment and crisis Situation warning, it could maintain urban order, production safety, and living safety. Relying on AI technology such as machine vision, hand vein recognition system and posture recognition, it integrates deeply with the education and teaching system. The whole education and teaching resources provide intelligence for teaching, teaching management, students, learning management, setting up a platform and optimizing the education and teaching system, helping schools to improve overall teaching management and teaching quality. It uses multi-sensor fusion technologies such as machine vision and fused precise positioning navigation, decision-making system and reinforcement learning. Combining autonomous driving with industries like transportation, retail, urban cleaning and other industries, we would we would allow transportation vehicles, robots and vending machines to move and function autonomously which will greatly save labor costs and improve efficiency. It's mainly composed of autonomous moving system and human-machine interaction system. Through main primary sensors such as laser, ultrasonic, infrared, camera and microphone, AI algorithms such as automatic navigation and positioning, as well as face recognition, robots can independently and intelligently complete the demands and service goals for working in the fields of logistics, security, retail and cleaning, in order to save labor costs and increase revenue. Based on AloT, big data platform and computing online platform, combined AI algorithm, AI city could build city data CPU which has active learning ability to operate AI hardware devices, providing synergetic service and management, supporting intelligent and efficient operation solution for city management, advanced industry and a convenient life，improving efficiency and citizen satisfaction level. Based on biological intelligence, AI technology and algorithm such as machine learning, it can decode the internal biological characteristics of the brain waves, palm veins, promoting research and technology development in clinical applications, human-computer integration and identity authentication. It uses self-researching AI technology such as deep learning method and machine vision to develop application platform and design hardware devices, building ecology service solution for new retail scene. Created innovative retail models such as media-free payment, first-served post-payment, and moving retail. Artificial Intelligence (AI) is a new science of technology which studies and develops the theories, methods, technologies and application systems for simulating, extending and expanding human intelligence. Research in the field of AI includes robotics, speech recognition, image recognition, natural language processing, expert systems, etc. cient operation solution for city management, advanced industry and a convenient life，improving efficiency and citizen satisfaction level. ciency and save labor costs. The AI applications of DeepBlue Technology have been used in a wide range of fields, attracting many enterprises at home and abroad to establish alliances and cooperation, and providing powerful new AI kinetic energy for industrial transformation and upgrading and urban renewal.